Historic buildings tell the story of cities. They mark important events, anchor neighborhoods, and lure tourists to visit. Old buildings are old friends and I fight to protect them. Some projects are in the works for generations (the Hall of Justice sat empty for 21 years!) and it’s always hard to be a preservationist always climbing up a slippery hill. Norms coffee shop on La Cienega was declared a Historic-Cultural monument in May, but the future of the 1957 coffee shop remains up in the air. Big wins like Clifton’s Cafeteria and a preservation ordinance for Los Angeles County made 2015 a pretty good year for landmarks in Los Angeles. I am thankful that these 13 historic places, large and small, were saved and found new life this year and excited about some big restoration projects in the works that will be unveiled in 2016. Dunkin’ restored a giant 3-D donut sign dating to a 1950s donut shop previously on the site when they built a new store at this location. Patrons of the rejuvenated restaurants ponied up funds through Kickstarter to rehab the vintage sign. 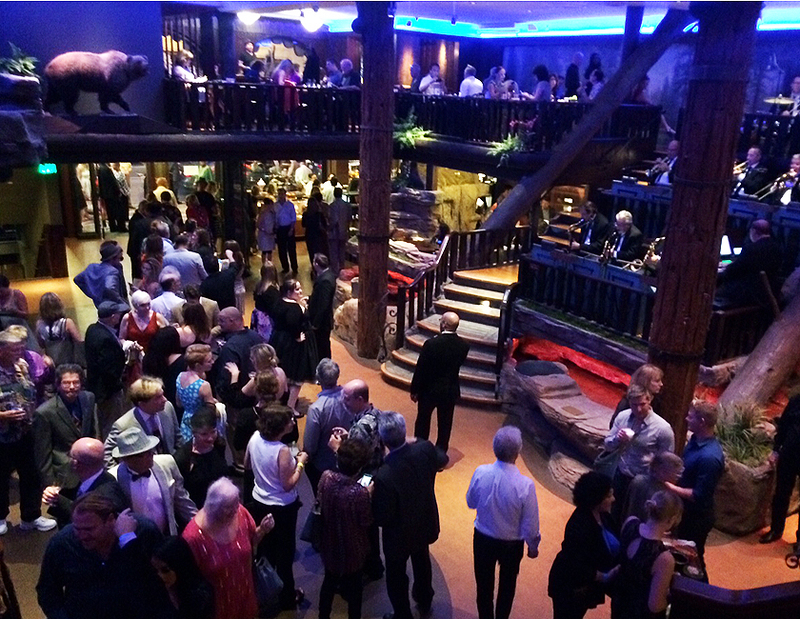 The classic downtown restaurant reopened as “Clifton’s Cabinet of Curiosities” in October. The coffee giant brought this long-closed Streamline gas station back to life. The century-old cinema was refurbished as a dance club in July. The massive building was reoccupied for the first time since the 1994 earthquake. Thousands attended an all-night party in February to see Frank Lloyd Wright’s restored masterpiece. The barrel-shaped bar came back to life in February. This home by Richard Neutra was rescued at the last minute and was meticulously restored. This newly restored wing of the Civic Auditorium housed an ice skating rink for many years. The first store in the Mexican fast food chain was moved to company headquarters in Irvine in November. Rudolph Schindler designed this striking angular home for the actor Albert Dekker in 1940.